Who doesn't love an apple dumpling? Served fresh and hot, with a huge dollop of vanilla ice cream on the side (or on top), this has to be one of the most-loved fairground foods that you can find in Atlantic City. 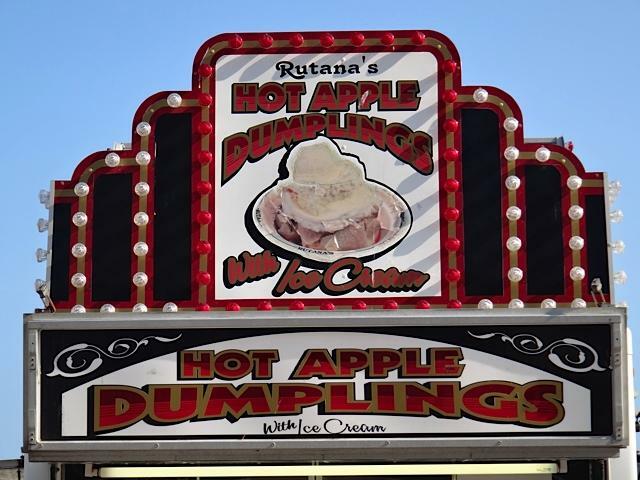 Hot Apple Dumplings can easily be found on the Atlantic City Boardwalk. One of the most popular is very close to the Trump Casino, but on the other side of the Boardwalk, next to several other food stands.